French pharmaceutical group Sanofi is expected to receive an exclusive license to market a new Zika vaccine. Editor's note: This story has been updated to include information on how Sanofi Pasteur was chosen as the company to license the Zika vaccine. The U.S. Army is planning to grant an exclusive license to the French pharmaceutical company Sanofi Pasteur, Inc. to manufacture and sell a Zika vaccine the Army developed last year. And that has Rebekah Gee, Louisiana's secretary of health, worried about paying for it. "God forbid we have a Zika outbreak. We're in the middle of a fiscal crisis, we're already cutting services to people and we're already potentially cutting our funding to fight the Zika virus," Gee says. If the Army goes through with its plan, she says, Sanofi could set a price for the vaccine at a level that Louisianans just won't be able to afford. Gee is among a growing number of public officials and activists who are demanding that Sanofi agree to show restraint when it sets the price for the vaccine, which was developed by the Army. She wants the company to promise in writing that it won't charge U.S. buyers any more than it charges in other wealthy countries – like its home, France. "If the American public funds the life-saving intervention, we need price protections for states that have to foot the bill," Gee says. Last week, several groups including Doctors without Borders and Knowledge Ecology International appealed to the Army to delay granting Sanofi the exclusive license until the company agrees to reasonable price terms. Zika is a virus that is transmitted by the Aedes aegypti mosquito. It can cause severe defects to babies born to infected mothers. Because of its hot, wet climate, Louisiana is a prime target for the Zika virus in this country, Gee says. If there were a local outbreak, the state would want to ensure that every person of childbearing age got vaccinated. And today, there are about 540,000 people of reproductive age on Louisiana's Medicaid rolls, which means the state and federal governments would cover the costs to vaccinate them. There's no vaccine against Zika available yet. So there is no way to determine where Sanofi, or any other company may set the price. But if it were too high? "We'd then be in a situation where we'd have to decide between funding for K-12 education and the Zika vaccine," Gee says. "And that just shouldn't happen when the U.S. government and the taxpayers of this nation paid to develop this drug." It's actually not unusual for the government to give private companies an exclusive license to government research and inventions to develop medications. In most cases, however, the government has paid for only part of the development. In the case of the Zika vaccine, the government's contribution is much larger. "The inventors of the vaccine are all federal employees — they're all employees of the army," says Jamie Love, director of Knowledge Ecology International, a non-profit public interest group. Knowledge Ecology and other groups filed a formal appeal earlier this month. They want the Army to require Sanofi to give U.S. buyers a fair price — charging the same price here as it charges in other wealthy countries — like its home country France. Louisiana Gov. John Bel Edwards also asked the Army for such a guarantee. The groups have been pressing the Army for months over the proposed license. The Army wrote in an April 21 letter that it has to give the company exclusivity because of the "high risk and high costs involved in advanced vaccine development." Those costs aren't clear however, at least when it comes to Sanofi. "It's not obvious what they've done," Love says of Sanofi. "They didn't invent the vaccine, they didn't do the Phase 1 [clinical trial]. They're not paying for the Phase II or III trials." The Army right now is conducting the Phase I trial, intended to determine whether the vaccine is safe. If that goes well, the Department of Health and Human Services will give Sanofi $43 million for a Phase II trial, which determines whether the vaccine actually works and whether it has side effects. And HHS is offering up another $130 million for the Phase III trial if the second stage is successful. 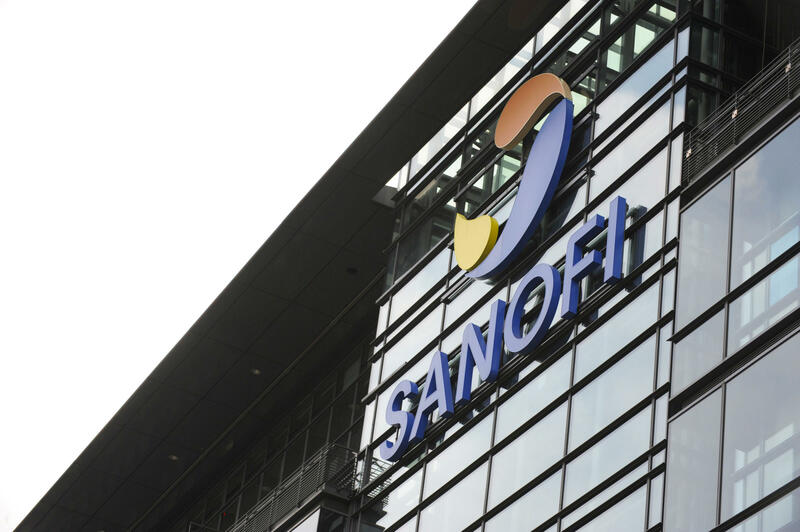 Sanofi says it has devoted 60 scientists to the project full time and is using "proprietary technical manufacturing expertise," as well as the clinical trial network it has developed over the years in testing other vaccines to help with the studies. "So while it's true that those costs are being paid for by the U.S. government, we do have substantial investments in this vaccine," says Dr. Jon Heinrichs, an associated vice president at Sanofi Pasteur in Pennsylvania, where he leads vaccine development. "And really what it costs us are the opportunity costs where those individuals could be working on projects that have a more certain commercial return," he says. "And while they're working on Zika, they can't be working on those projects." It's still not certain the vaccine developed by the Army will work, or that there will be a market for it in the end, he says. There are many other efforts to develop Zika vaccines, some of which have government funding, and it's not clear which will be most effective. Plus viruses can mutate, so a vaccine that is effective this year may not be in the future. And Elias Zerhouni, a former director of the National Institutes of Health and president of global research and development at Sanofi said in a letter to the New York Times that the company will pay royalties to the Army for the license, so the government can recoup its investment. Sen. Bernie Sanders, I-Vermont, isn't impressed with Sanofi's arguments. He has been urging the Army to withhold the license from Sanofi until the company agrees to charge U.S. customers a fair price. "It seems to me that if we are providing substantial amounts of money to a company to distribute and develop this drug that the American people should be guaranteed that they're going to be able to afford the price of the vaccine," Sanders tells Shots. "And currently that is not the case." Sanders says the Army has asked Sanofi for a guarantee that it will charge U.S. customers, including state and federal public health and Medicaid programs, no more than it charges other wealthy countries for the vaccine. And the company, Sanders says, refused. "Well, you know, we have not refused," Heinrichs says. "And we intend to make this vaccine available at a reasonable price. And I think our record stands, and that we have made many of our vaccines available to those who need them at affordable prices." The Army did not respond to multiple calls to its Medical Research and Material Command at Ft. Detrick, Md., where the Zika work is happening. But in a letter to Knowledge Ecology, Barry Datlof, chief of the Army's Office of Research and Technology Applications, said the Army had talked with several companies and Sanofi "was the only one to move forward" with executing the collaborative research agreement and submitting a license application. He said Sanofi, as a private company, has to make such decisions on the potential profit it can earn. "Considering the high risk and the high cost involved in advanced vaccine development, granting an exclusive license for federally developed technology is often the only incentive significant enough to attract a competent and willing commercial partner," Datlof wrote. Love argues that the government could hold off on granting the license to the vaccine until after the next round of clinical trials. At that point, its value would be more clear and the Army will be in a better bargaining position. Sanders and Knowledge Ecology point out that Sanofi has charged more in the U.S. for many medications, including the multiple sclerosis drug Aubagio, which costs Medicare more than $5,000, but in France it's priced at about $745. "Sanofi wants to do business the old-fashioned way, and that is take taxpayers money and then charge any price that they want," Sanders says. "Our job now is to make it clear that what Sanofi wants it not acceptable." The U.S. Army is planning to grant an exclusive license to the French pharmaceutical company Sanofi Pasteur to manufacture and sell a Zika virus vaccine that the U.S. Army developed. And that has some people worried. NPR's Alison Kodjak reports that some state and federal officials want Sanofi to guarantee the vaccine will be available at a reasonable price. 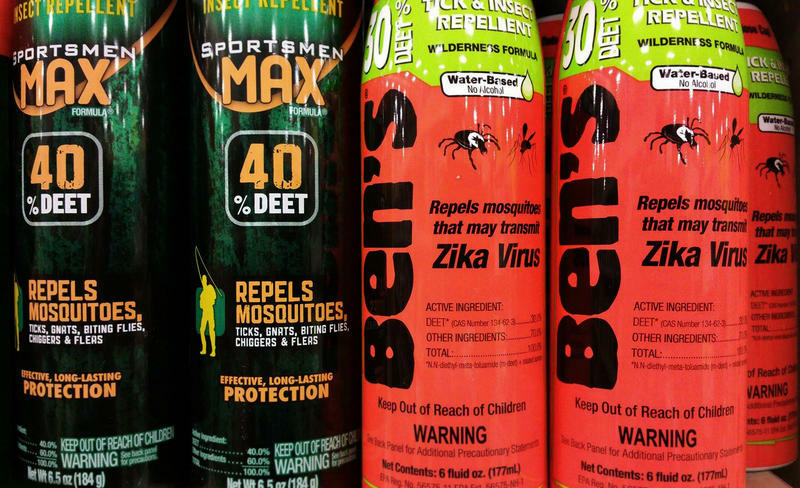 ALISON KODJAK, BYLINE: Louisiana Health Secretary Rebekah Gee is worried about Zika, but she's almost equally worried about the Zika vaccine developed by the U.S. Army. REBEKAH GEE: You know, God forbid we have a Zika outbreak. We're in the middle of a fiscal crisis. We're already cutting services to people. We're already potentially cutting our funding to fight the Zika virus. KODJAK: Gee says if there were an outbreak, Louisiana would want to vaccinate everyone of childbearing age. And more than half a million of those people in the state are on Medicaid, which means the state would foot the bill. There's no Zika vaccine available right now, but the Army has developed one, and it says it's going to grant Sanofi the rights to sell it. Gee worries that the company will set the price too high. GEE: And we'd be then in the situation that we'd have to decide between funding K through 12 education and the Zika vaccine. And that just shouldn't happen when the U.S. government and the taxpayers of this nation paid to develop this drug. KODJAK: Jamie Love, director of the public interest group Knowledge Ecology International, has asked the Army for a guarantee that Sanofi will charge the same for the vaccine in the U.S. as it does in other wealthy countries, like its home country France. JAMIE LOVE: The U.S. government developed the vaccine in-house. And the inventors of the vaccine are all federal employees, are all employees of the Army. KODJAK: It's not unusual for the government to give private companies license to use its technology to develop products. But in most cases, the companies have to make a significant investment to bring the product to market. Love says it's not clear Sanofi has invested any of its own money in the Zika vaccine. LOVE: If they have it's not obvious what they've done. They didn't invent the vaccine. They didn't do the phase one. They're not paying for the phase two or the phase three trials. KODJAK: He's referring to the clinical trials that determine if the vaccine is safe and effective. The Army right now is doing the phase one trial itself, and the government has agreed to pay Sanofi up to $173 million to finish developing the vaccine. Jon Heinrichs leads vaccine development at Sanofi. JON HEINRICHS: So while it's true that those costs are being paid for by the U.S. government, we do have substantial investments in this vaccine. We have a large number of people, including some of our best scientists, working on this vaccine. KODJAK: Sanofi says it has devoted 60 full-time scientists to the project. And it's using proprietary methods to manufacture and test the vaccine. HEINRICHS: And really, what it costs us are the opportunity costs where those individuals could be working on projects that have a more certain commercial return. And while they're working on Zika they can't be working on those projects. KODJAK: Senator Bernie Sanders isn't impressed by that argument. BERNIE SANDERS: So it seems to me that if we are providing substantial amounts of money to a company to distribute and develop this drug that the American people should be guaranteed that they're going to be able to afford the price of the vaccine. And currently, that is not the case. KODJAK: He says the Army has asked the company for such a guarantee and Sanofi refused. Heinrichs disputes that. HEINRICHS: We have not refused, and we intend to make this vaccine available at a reasonable price. And I think our record stands. We have made all of our vaccines available to those who need them at affordable prices. KODJAK: With U.S. customers paying more than the rest of the world for pharmaceuticals, including those made by Sanofi, people such as Sanders are skeptical. Alison Kodjak, NPR News, Washington. (SOUNDBITE OF METAFORM'S "DEEP CONCENTRATION") Transcript provided by NPR, Copyright NPR. 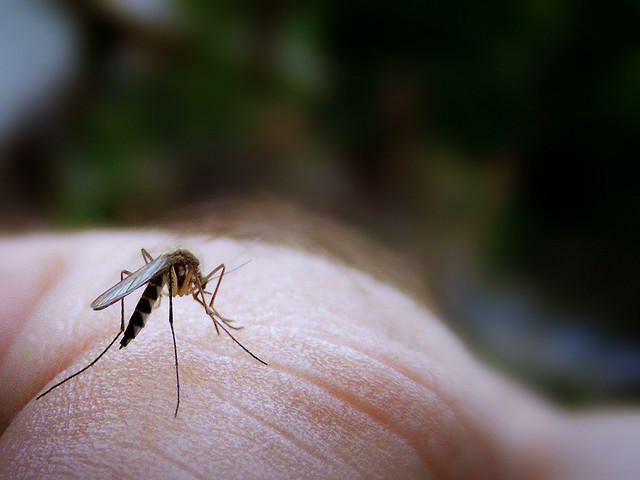 Mosquito season is upon us, and Texas still isn’t out of the woods when it comes to Zika. The mosquito-borne illness can cause birth defects if a woman is exposed to it while pregnant. Last year, there were 312 cases of Zika reported in the state. There could be Zika cases in Texas we missed this year, according to experts in the state. That became clearer after health officials closely monitored a small area in South Texas earlier this month and found several additional cases of locally-transmitted Zika. A couple weeks ago, Cameron County reported the first-known locally-transmitted case of Zika in Texas.